Worship is something we can do individually, but God places special importance on believers worshiping together. Sunday morning at Westside is a great place to come together to celebrate everything that is happening in our body. We take time to hang out with each other. Worship together through the singing, spending time praying for each other as well as solid, creative, biblical preaching that will help you take your next step toward Christ. You will find that Westside is a place where you are welcomed from the minute you walk through the doors by people who love Jesus, and want to show his amazing love to others. You can come in, grab a cup of free coffee, find a seat, and enjoy a time together reflecting on the greatness of our God’s love. 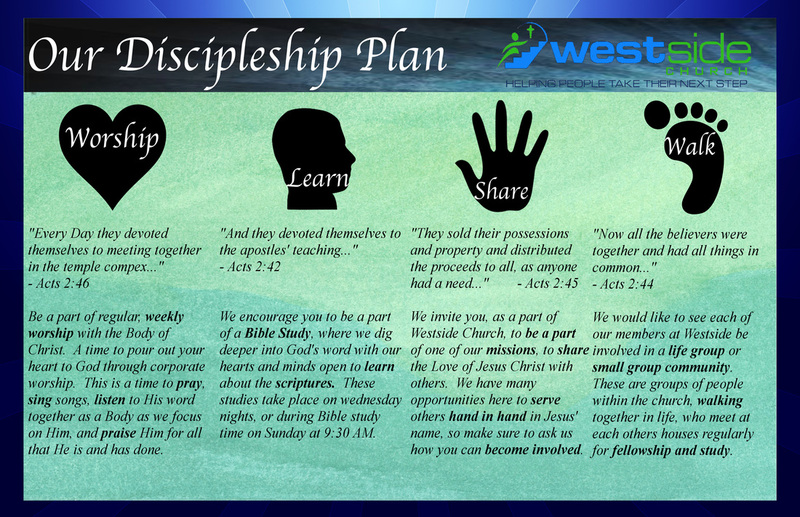 Our Sunday morning bible studies start at 9:30 am followed by our corporate worship at 10:45am.